This is one of our favorite games. Dan will usually be the DJ, playing random tunes from our music collection and the kids and I try to guess song title, artist, or both. Tristen has an almost scary knowledge of classic rock, I can bat the classic country out of the park, and Ashley just enjoys dancing about and singing while we play. This is a game we all enjoy and it's cheap! Nothing like frugal family fun! I was recently given a 3 month subscription of Slacker Radio Plus to review. I have had a free Slacker Radio account for quite awhile and was excited to try the plus service. I have not been disappointed! With the Plus service you get no ads, unlimited song skips, unlimited song requests, and complete songs lyrics. They have over 2 million songs and real live DJs programing the stations. No matter what your taste in music, you will most likely find a station you will enjoy. They offer kids stations, big band, classic rock, new country, and more! I am most impressed by the unlimited song requests and number of songs available. One of my favorite songs ever is You're My Jamaica by Charley Pride, a song most people have never heard of and that is nearly impossible to find. They have it! They have also had every other song I have thought up so far. That is a big plus with me. I also love that when you put in a song request, then you end up listening to that song title radio, like You're My Jamaica Radio is my current station of choice. This station plays songs that are similar to the one you request; I've been treated to George Jones, Loretta Lynn, Conway Twitty, and most of my favorite country greats. You can ban songs you don't like or favorite songs you love. I have listened to Slacker Radio everyday for almost a week now and just love it. If you read any of my blogs very often, you will know that we are a family that loves our music, so this service is a perfect fit for us. Plus, it gives us so many more songs to play our family name that tune game with! We have discussed it and will definitely be keeping it after our review period is up. Slacker Radio Plus is great for families, especially those with teens and college kids who are really into music. With the unlimited song requests, they can here whatever they want, whenever they want for much cheaper than buying or paying to download the songs. I think it is a great fit for the older teen set. Or just anyone who, like us, really enjoys music. Guess what? 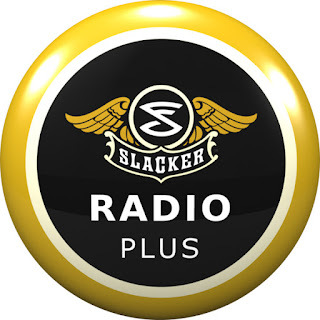 I have 3 month subscriptions to Slacker Radio Plus for three of my lucky readers! All you have to do is go check out Slacker Radio, then come back and tell me what feature you like the most. That's it! This one may be the easiest ever - Tell me your favorite song and/or artist. Be sure you leave me a comment for each entry. Also be sure to leave your email so I can contact you. Giveaway ends at 8:00 pm CST August 23, 2009. Winners will be selected and contacted via email on August 24th. If they have not responded within 48 hours new winners will be selected. I love the varieties of music to choose from. I love to listen to all kinds of music and this is such a neat idea! Thanks so much for such a great giveaway! I like that it's stereo hifi quality music. Please accept my entry. Thank you. I love that there are no ads! Hard to pick one fave artist - I have tons. Really love Brad Paisley for one. Christina - xristya@rock.com - I love the comedy station, and I love the high-quality audio! They have 14 alternative stations! That's awesome! My all time favorite song is Free Bird by Lynrd Skynrd. My favorite feature is being able to listen to Slacker on a BlackBerry or iPhone. My favorite artist is Erasure.